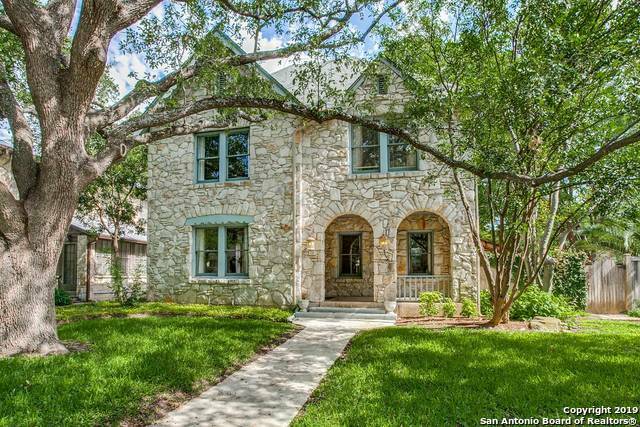 All Olmos Park homes currently listed for sale in Olmos Park as of 04/22/2019 are shown below. You can change the search criteria at any time by pressing the 'Change Search' button below. If you have any questions or you would like more information about any Olmos Park homes for sale or other Olmos Park real estate, please contact us and one of our knowledgeable Olmos Park REALTORS® would be pleased to assist you. "Remarkable gated estate remodeled to perfection*Classic architecture with boutique hotel interior design*Gorgeous fixtures from Circa Lighting*Kitchen is gorgeous, fun & functional w/honed marble counters, SubZero,gas cooktop,double ovens*3 marble/stone fireplaces inside + modern fireplace on patio*Master suite with walkout balcony and GIANT closet*Master bath puts finest spas to shame*Makassar wood cabinets,onyx counters,marble shower, tub*Pool set into luter stone patio*3-car garage + Porte co"
"Classic Olmos Park Estate w/ modern updates. Large bedrooms, all upstairs, remodeled master bath/walk-in closet. Charming office off master. Formal living, large dining room & a beautiful family room w/ original tile. Eat-in kitchen w/ gas stove, ice maker, subzero fridge, & island. Large lot w/ gated entrance, lots of parking, cabana room w/ full bathroom & 2nd laundry, custom tree house . Large garage w/ lots of storage. House has a basement for extra storage. Close to airport & downtown!" 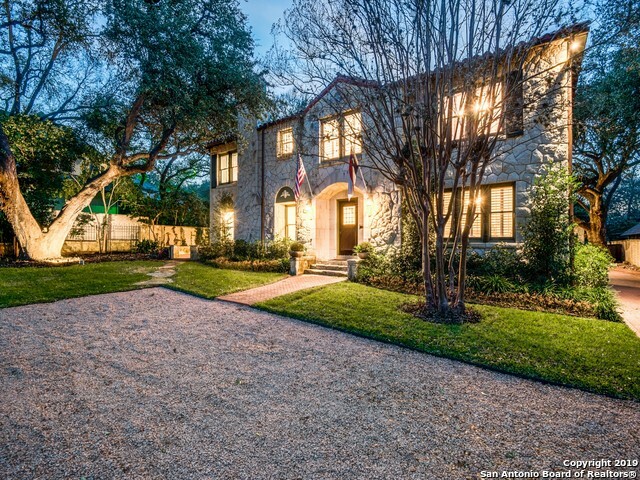 "Beautifully renovated Olmos Park Home. 2 large living areas with fireplaces. Gourmet kitchen has custom cabinets and Viking appliances. Exceptional master suite with walkout balcony. Large master bath and dual walk-in closet. Inviting pool/spa." 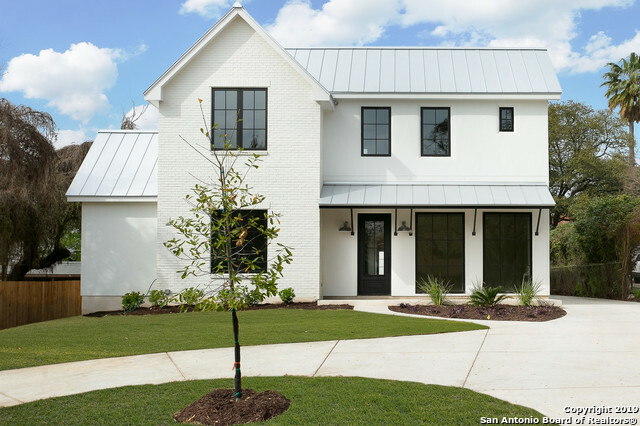 "New Modern Farmhouse in Olmos Park! Crafted by Pulliam Custom Homes with great attention to detail. High ceilings, beautiful arches, custom accents and amazing luxurious private bathroom in every bedroom. Spacious his/her closets with room for all your shopping bags from nearby trendy boutiques. Alamo Heights ISD and in the heart San Antonio. Landscaped with irrigation and detached garage. Fireplace in great room and the kitchen is a gourmet chefs delight. 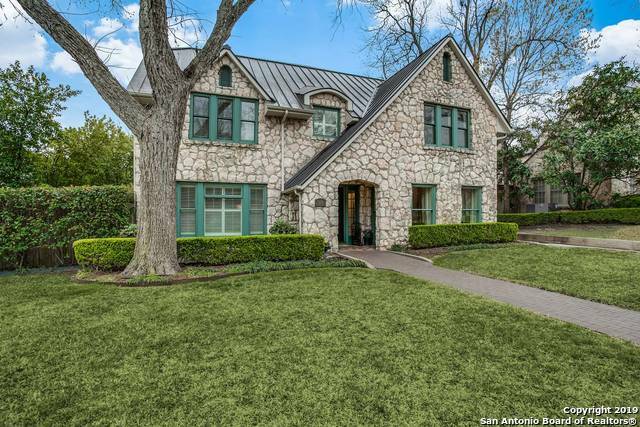 Butler bar and separate dining and cov"
"Gorgeous Olmos Park rock home built in 1934 offers multiple living and entertaining spaces. Recent gourmet kitchen features custom cabinetry and high end appliances. 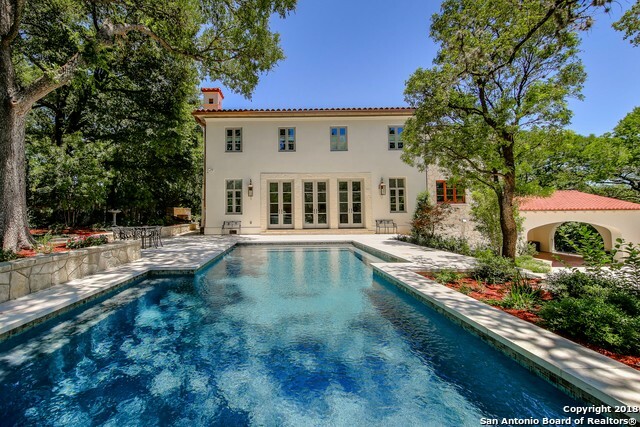 Spacious family room includes custom built-ins, wet bar and outdoor access. Generous sized bedrooms have high ceilings, crown moldings and multiple closets. Outdoor spaces include brick covered patio, gated drive, fenced backyard with greenhouse and shed." "WOW WOW WOW. THIS BUNGALOW OOZES CHARM! 1611 SF PLUS 700 CASITA VERSATILITY - FULL KITCHEN, NICE LIVING AREA, 2 QUEEN MURPHY BEDS, REMODELED FULL BATH, UR IN BACK DWELLING. SALTILLO FLOORS. MAIN HOUSE WOOD FLOORS, ASPHALT TILE KITCHEN, UPDATED BATH, SS APPLIANCES. LG. CLOSETS!! ELEC. IRON GATE AT DRIVEWAY. POOL HTD, MASSAGE JETS, SALT WATER, WTR FALL FEATURE, EXERCISE JETS, 3 1/2 TO 5 1/2 FT.SPACE TO ADD UR IN MAIN HOUSE, OR ADDL. FULL BATH! ENDLESS POSSIBILITIES!" "This lovely Olmos Park stone cottage has a mix of classic details and modern updates that make this home ooze with charm. High ceilings, hardwood floors, freshly updated kitchen with quartz counters, space for an over sized island, 2 living areas, 2 dining areas, metal standing seam roof, beautifully designed garage with dual entry, fresh white paint throughout, and a wall of windows facing out to the back yard and gorgeous rammed earth privacy wall."